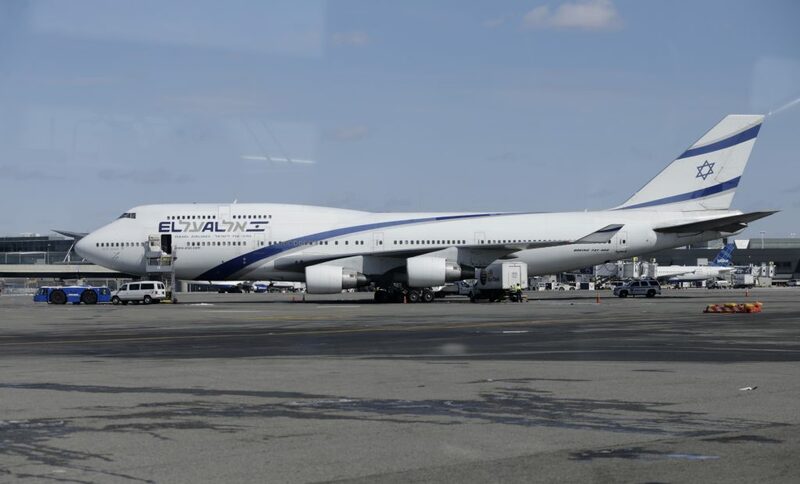 An El Al passenger opened a door and tried jumping off the plane at JFK airport Wednesday. The incident occurred when Flight 001 from Ben Gurion Airport landed at JFK airport, around 8:55 a.m. New York time. The passenger opened a rear door, not intended for passenger disembarkment, and tried to jump out, El Al said in a statement. Two crew members tried to grab him, but he held onto the door. An El Al staffer on the ground then brought a ladder to the door. The passenger got onto the ladder, but then jumped off and began running way. He was taken into police custody. The passenger has been identified as an American citizen.